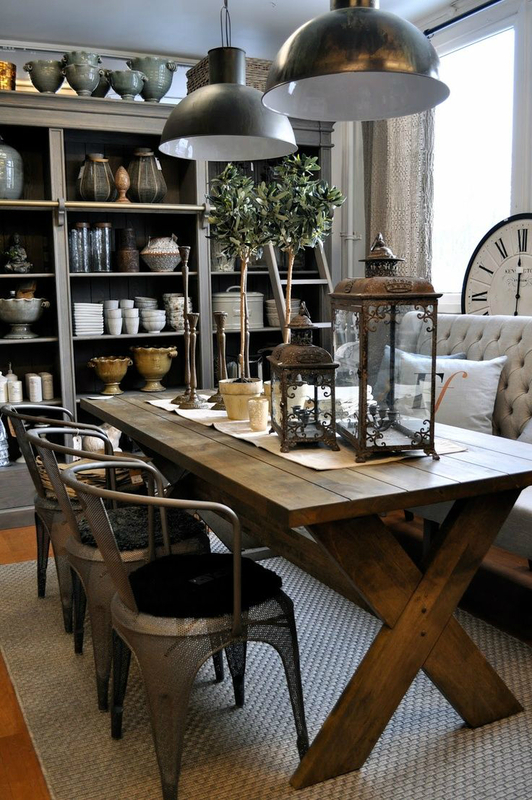 If you find that your dining room space has become the hub for stray objects and is no longer suitable for what it was intended for due to clutter or lack of storage space, you are not alone. However, there are solutions. 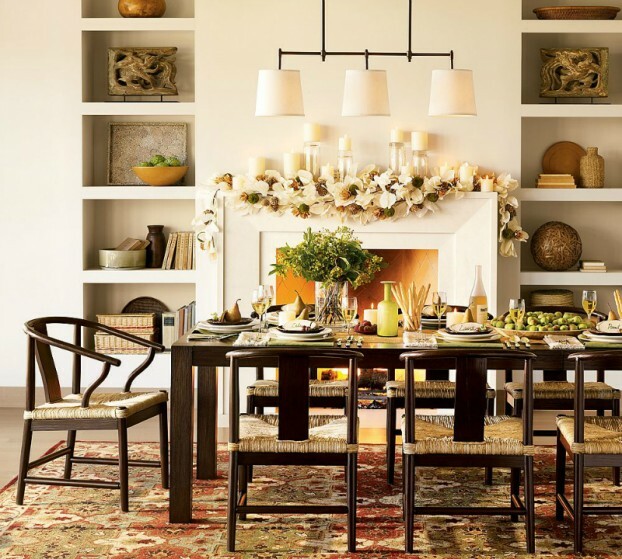 The goal is to keep your dining room table reasonably clear the majority of the time, except perhaps for a decorative centerpiece. 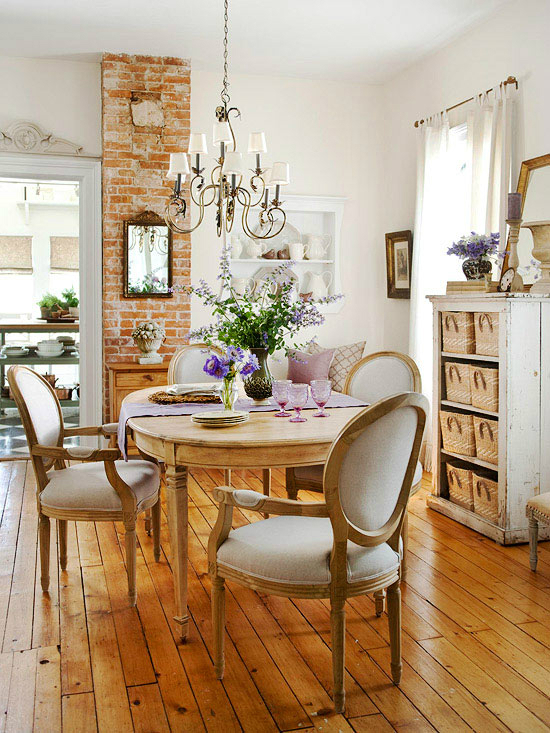 Moreover, if your dining room is a dumping ground for mounds of stuff from every part of the home, it’s hard for such an important room in the house to fully serve its function. First, find homes for important and much used objects you find so that they don’t end up back on your dining room table a month later. Get rid of chipped, broken, stained pieces you no longer like or have no use for. 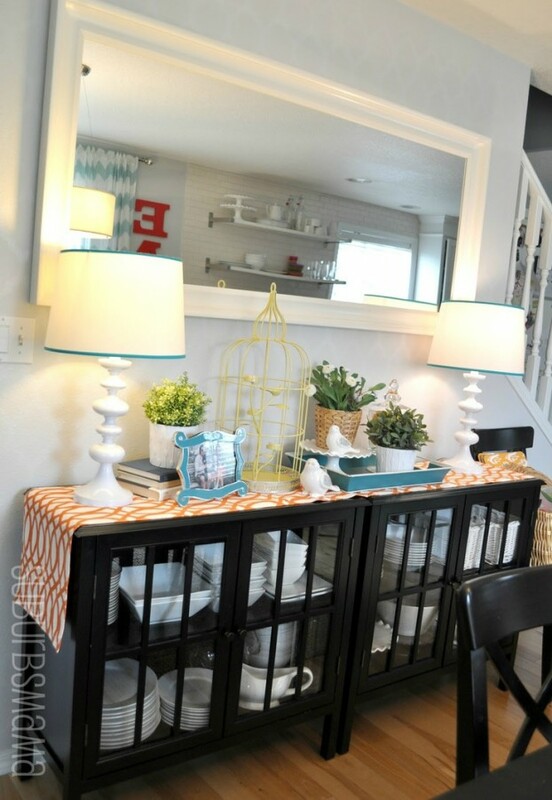 Now, you’re ready to make a home for the things you keep with dining room storage solutions. 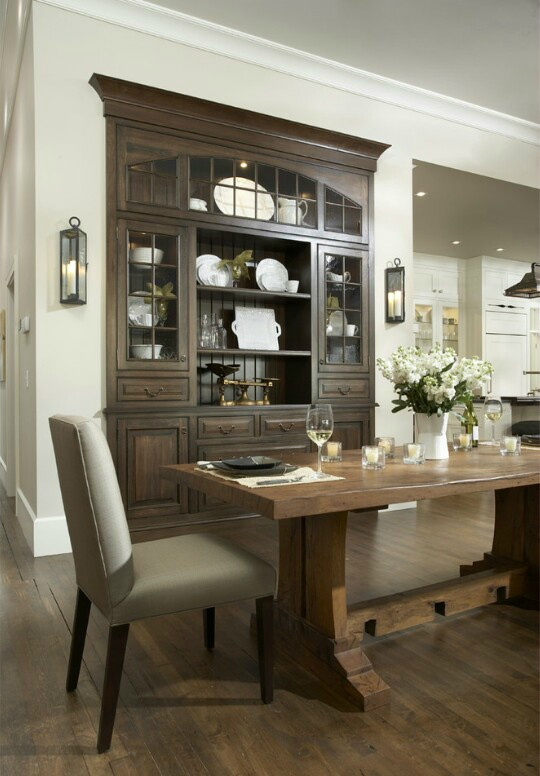 Usually, dining rooms are void of any type of storage unit like a closet. 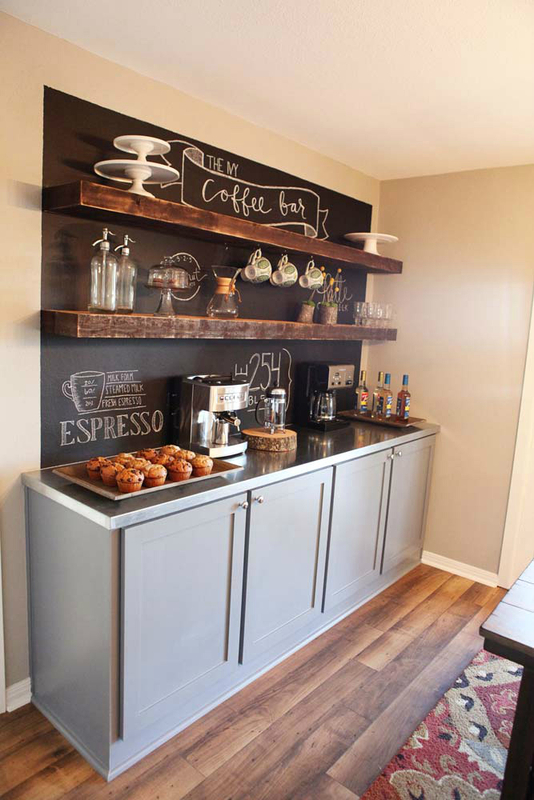 Instead, sideboards and buffets are used which can be attractive and practical. 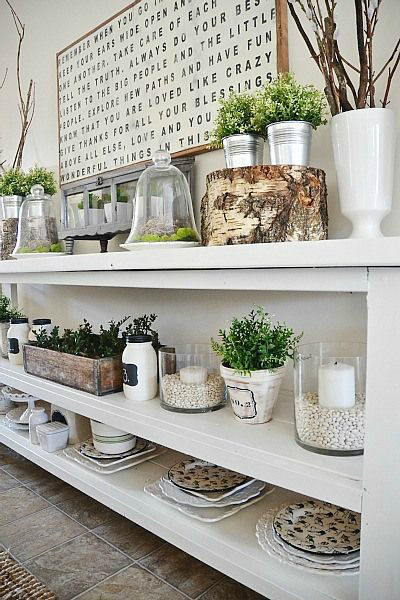 Preferably, these pieces of furniture will provide shelves and drawers, making it easy for you to showoff your fine china while offering enough storage space. 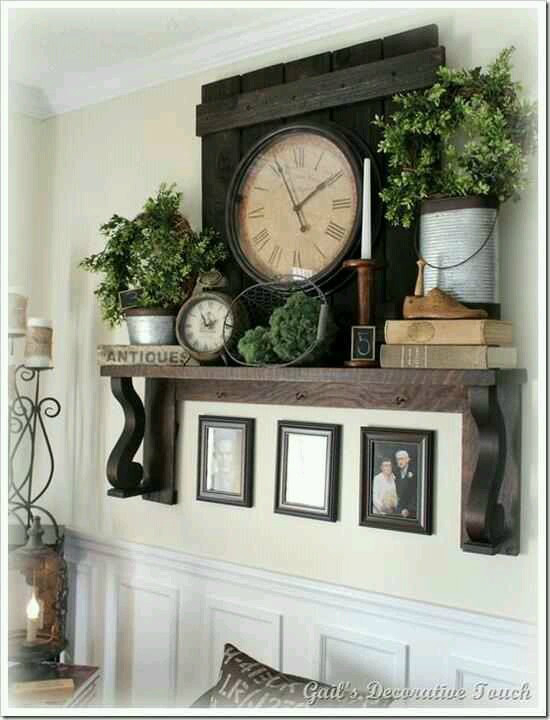 In fact, you can be creative and use a bedroom dresser or armoire to hold your items. Dresser drawers are usually deep and offer plenty of storage while adding charm at the same time. These furniture pieces are beautiful and functional. They can be used for both storage and display. 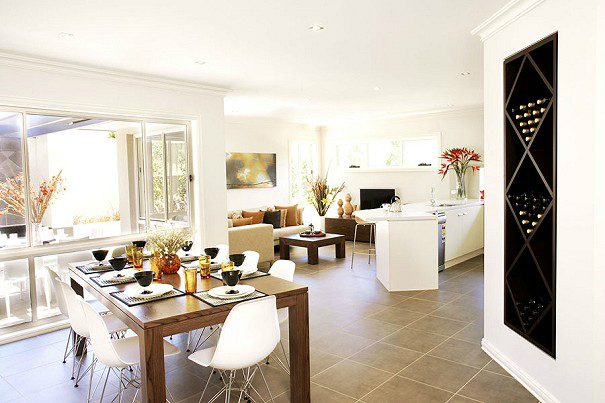 As they are taller than sideboards and buffets, there’s more room for display areas. If your dining room is rather small and space is tight, a creative way to add storage is to use the walls. 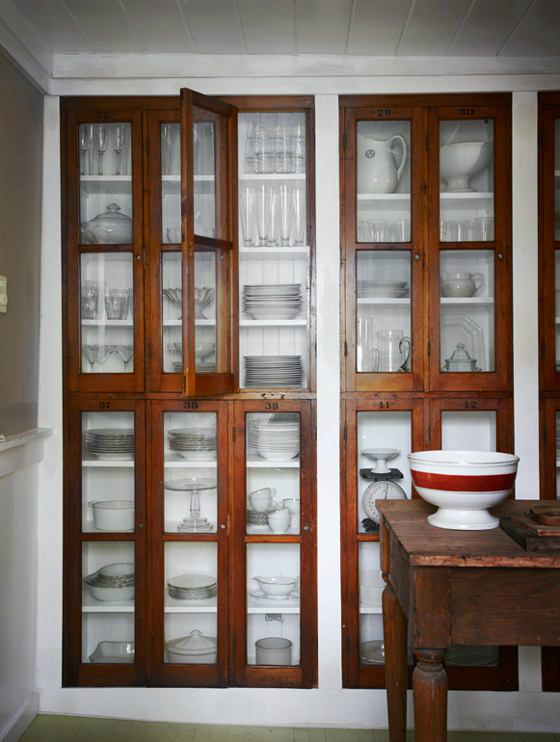 You can find beautiful cabinets that can be secured to your wall designed with glass doors to display your dishes, glasses, and other knickknacks. 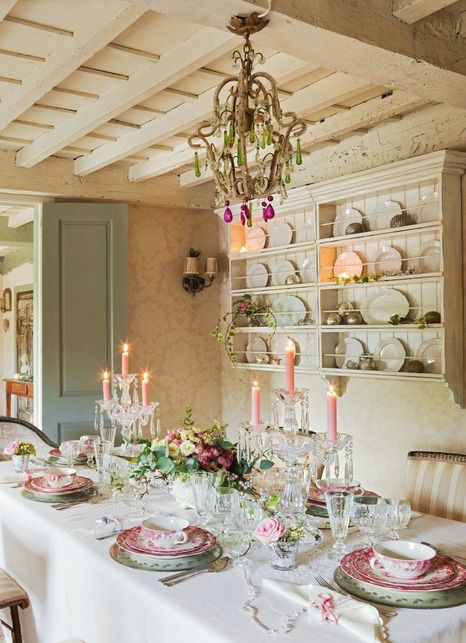 Most people use nice linens when entertaining for special occasions like holidays or birthdays. Special tablecloths, napkins, cutlery, glasses, china, placemats and more are stored for special events. 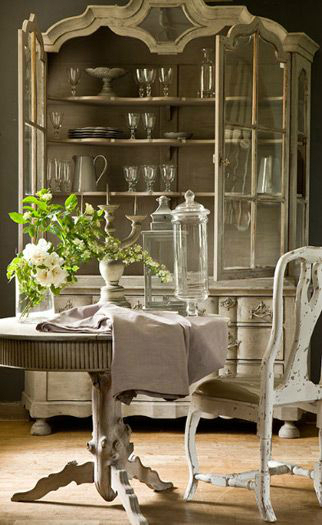 These items can be placed in a drawer, china cabinet, buffet, or sideboard. 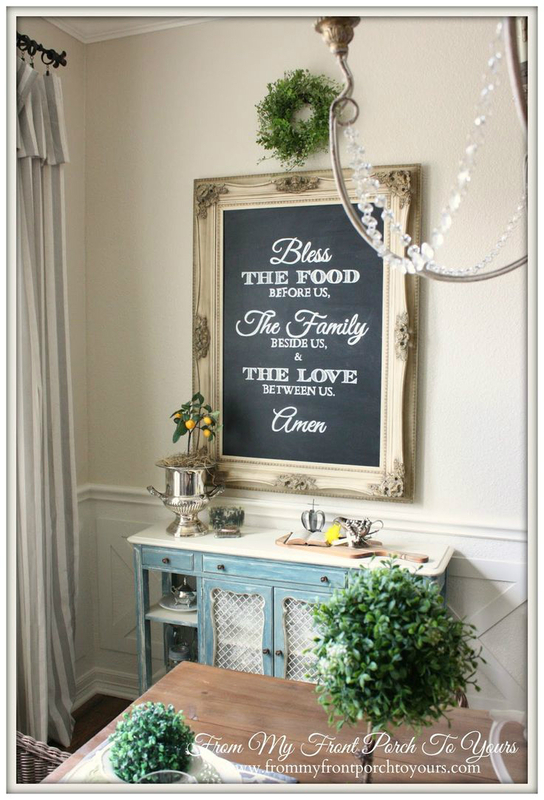 If there is no place, don’t forget about using your wall space. TIP: If any of the above-mentioned pieces are not in your budget, think “outside the box.” For example, use a bedroom nightstand or freestanding closet that fits with your décor. 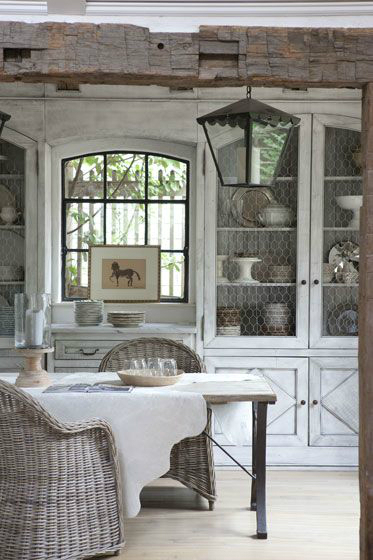 Homeowners used an antique buffet and built it by adding cabinetry around it. 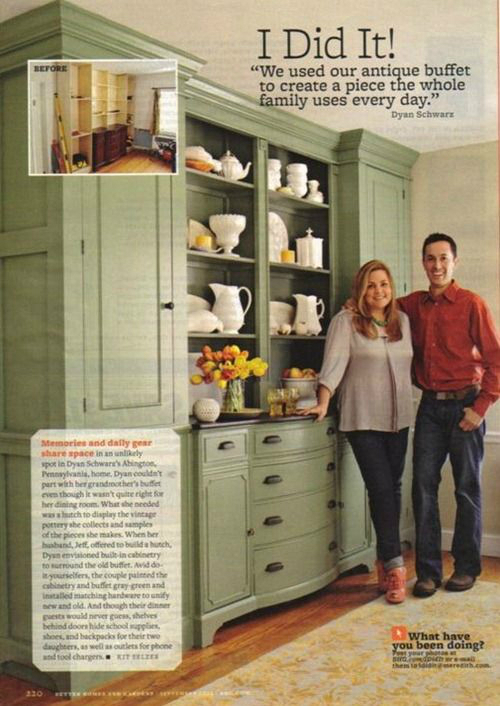 Long cabinet, open shelves, chalkboard paint on the wall. 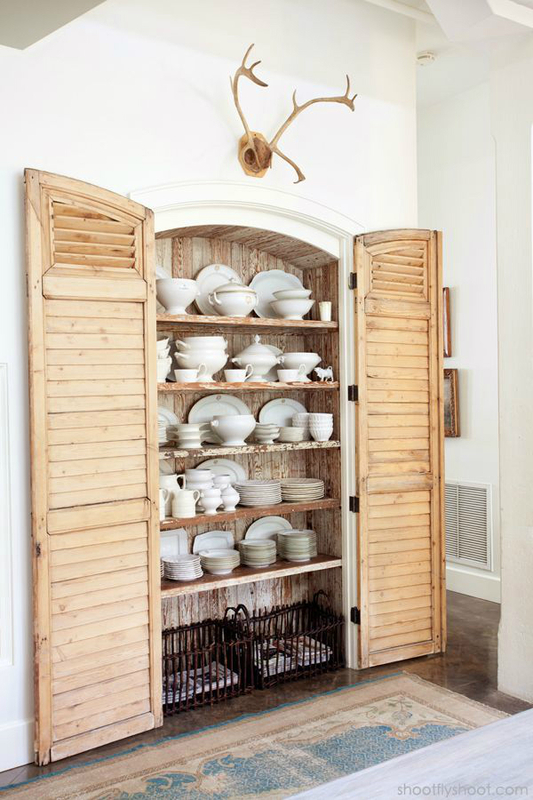 The homeowners saved only the pieces with potential or items that were stunning as is, like the sage cupboard. 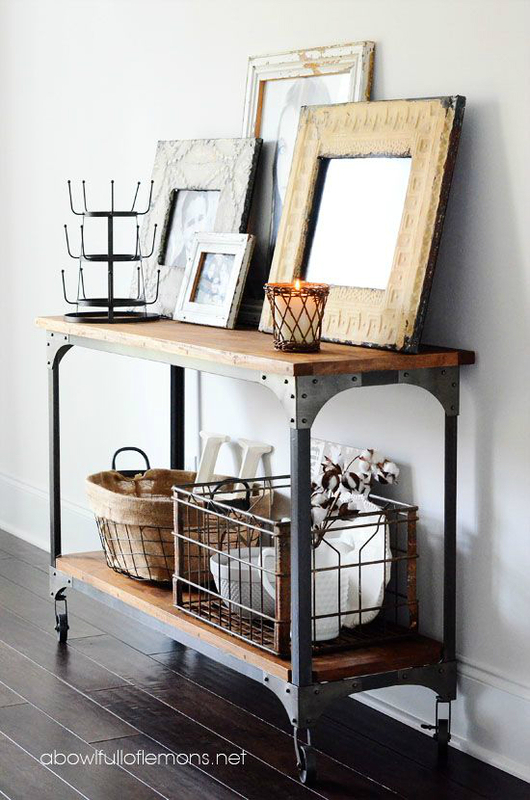 Dining Room Organization in industrial style. 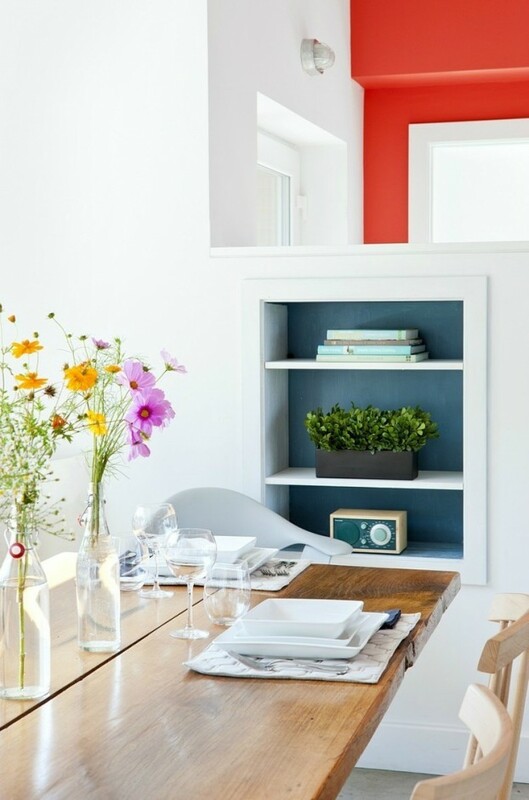 Colorfully Painted Thrift Finds Add Personality to this Lovely Cottage Dining Room. 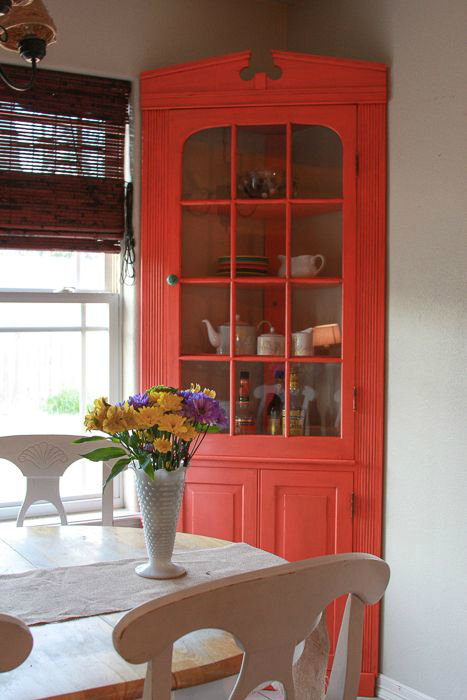 Bright poppy painted corner cabinet by Jessi. 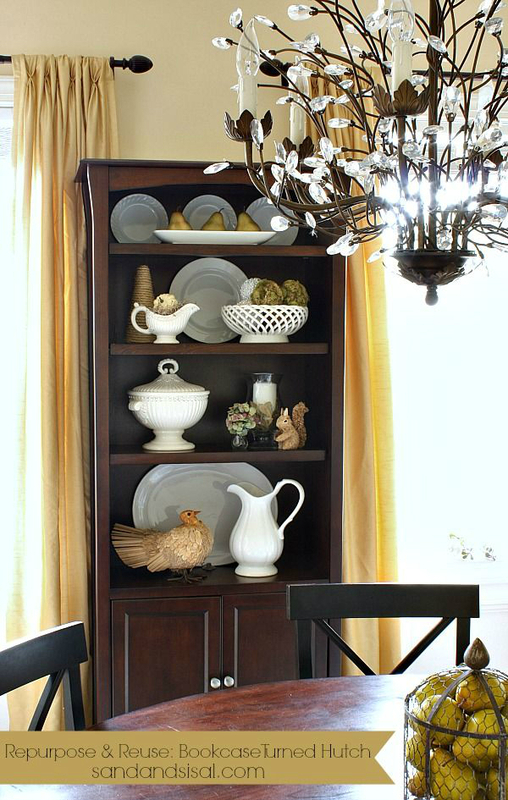 Bookcase turned into dining room hutch by Sand & Sisal. 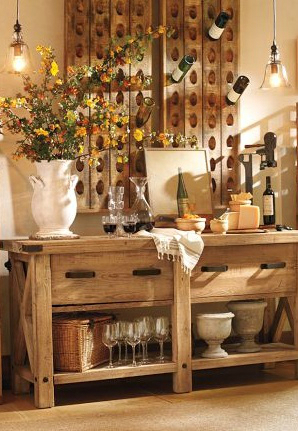 Totally love this wine rack and buffet by pottery barn. 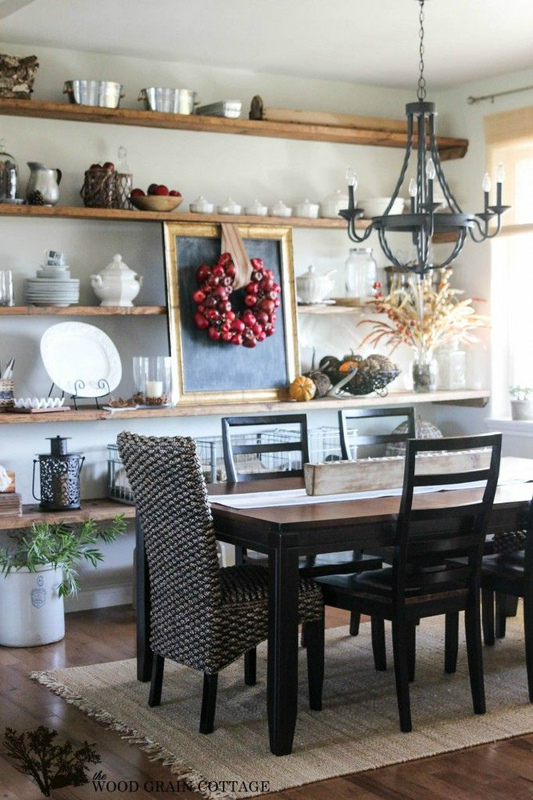 Awesome floating shelves in the dining room by Jen, IHeart Organizing. 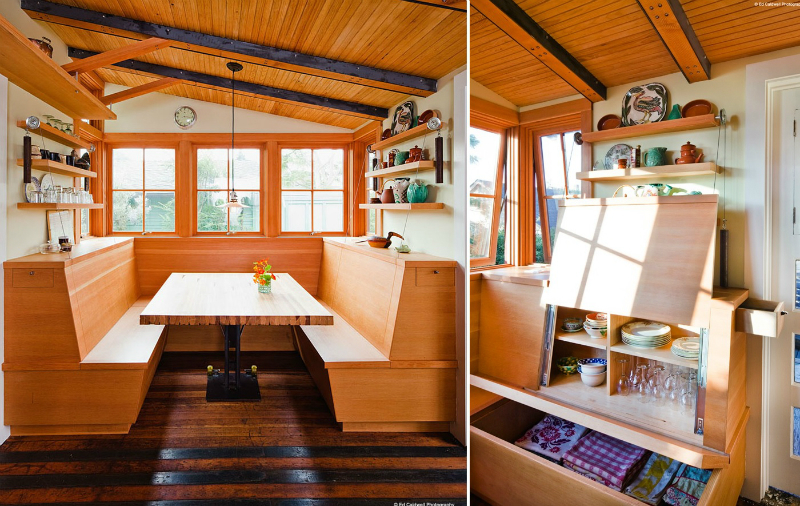 Amazing hidden storage within dining bench by Arkin Tilt Architects. 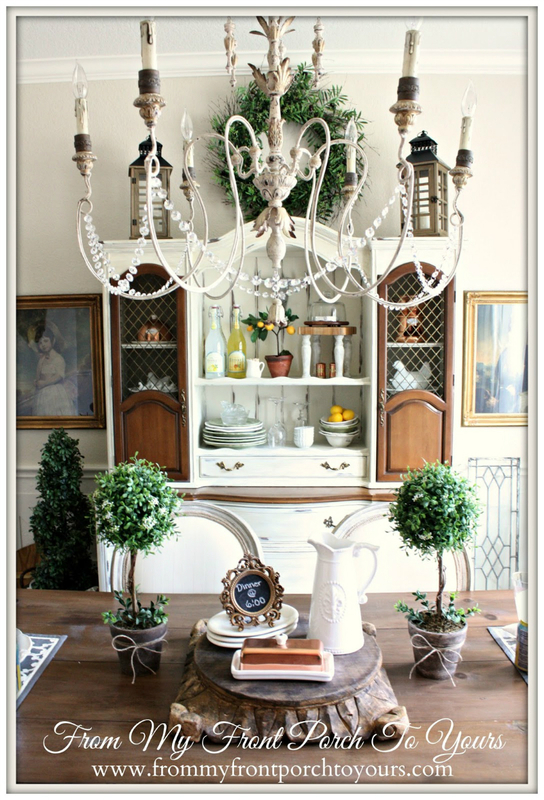 Two cabinets to create a buffet table in the dining room. Brilliant! These are from Target. 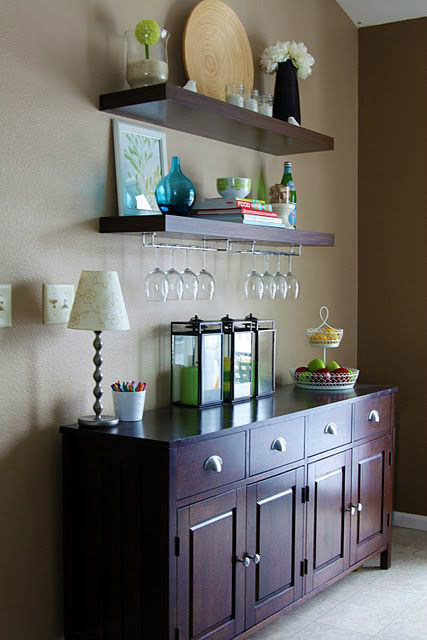 Alcove for wines by Eden Brae. 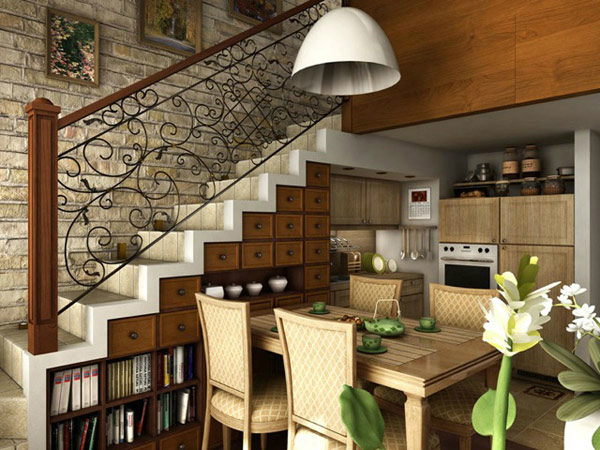 Dining storage space under the stairs. I love Bolig plus image. It’s really had pleasant look. 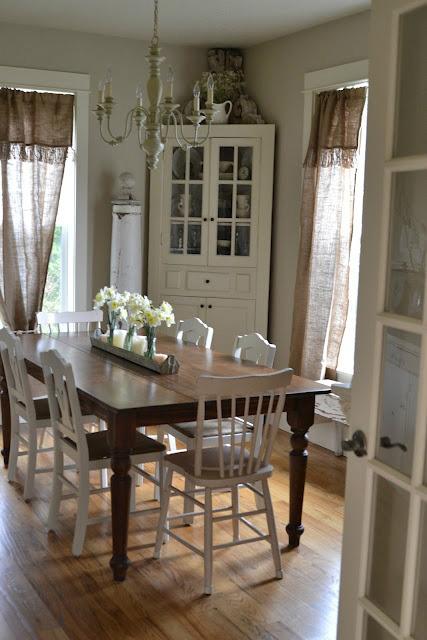 Thanks for sharing great ideas for Dining room.